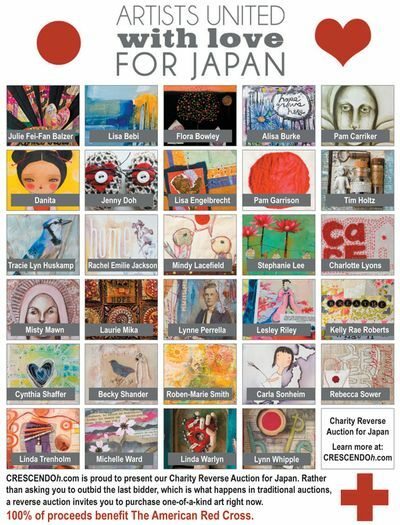 Jenny Doh and Rebecca Sower organized this wonderful effort to raise money for Japan. It's a reverse auction with 100% of the proceeds going to benefit the American Red Cross. I'm so honored to be invited and included among such outstanding artists. Please visit the link at Crescendoh.com and take a minute to view the gallery of art created and offered just for this cause. So exciting to see what we can accomplish when we work together to make a difference in the world!